Perhaps you want to live like a billionaire for a few days, but only have $450,000 to spend on a Las Vegas vacation. 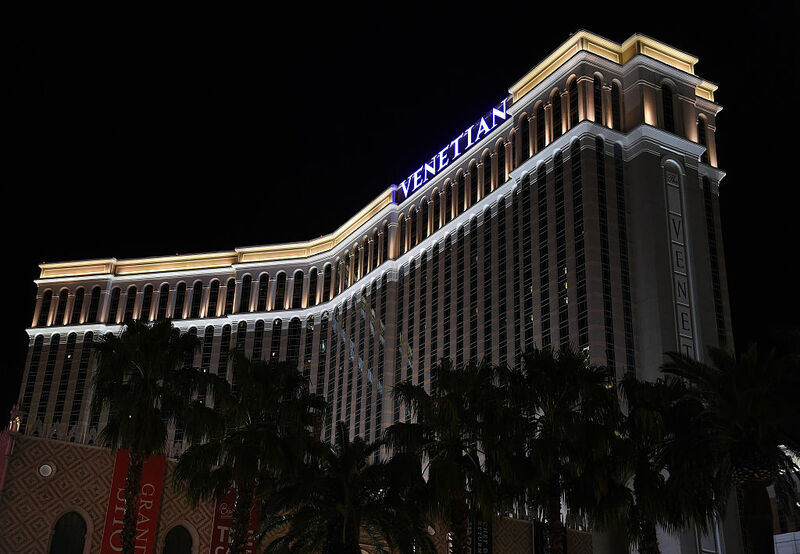 That, to me, would be the only circumstance where a person might sign up for the "Want The World" package at the Venetian hotel in Las Vegas, which gives travelers an all-inclusive four day weekend, experiencing the very best the hotel has to offer. Your stay begins with private jet fare to the Las Vegas airport from wherever you happen to be (a suggestion: get as far from Vegas as you can before they pick you up so as to enjoy more travel time in the air). Then, you'll be chauffeured to the hotel via a Maybach automobile, and it's then that your vacation truly begins in earnest. After taking advantage of the hotel's VIP check-in, you'll get your first look at the 6,500 square foot Presidential Suite where you'll be staying. And of course, if anything in the suite isn't up to your specifications, just let your own personal butler know about the issue, and they'll take care of it. The suite has two bedrooms and is outfitted with all the expected luxury features, like crystal chandeliers and gold furnishings, plus a baby grand piano. If you're planning on spending more time in your room than Vegas visitors generally do, you can also opt-in to additional features like a private workout room or game room with pool table. Also in your suite: a personal "Champagne pedicure and Diamond massage experience." During your stay, you will essentially be living the life of an obscenely rich individual taking a long Vegas weekend. A magnum bottle of Moët Champagne covered in Swarovski crystals will be yours to enjoy, possibly while wearing your own monogrammed red silk pajamas. If you're thinking about recouping some of the cost of the trip, you can do so with a few gifts courtesy of Bellusso Jewelers: A 2.5 total carat ruby and diamond necklace, 2.47 carat Burma ruby and diamond ring, all of which come as part of a delicious-looking red cake for some reason. Desserts adorned with expensive jewelry is something of a motif in this package, actually. There's also the "CrazyShake" from Black Tap, which is a red velvet cake batter shake that comes with a 5.5 carat diamond bracelet, also from Bellusso Jewelers. There are a couple of actual meals included in the deal as well, like a four-course dinner by Chef Lorena Garcia of Chica, served in your suite, and something called "24k Brunch and Bubbles" by Yardbird, which takes the standard chicken and waffles delicacy and adds edible gold dust and Cristal mimosas. Rounding out the experience is a personal photographer who will accompany you to capture your enjoyment of the "Want the World" package, all the better to chronicle it on Instagram.